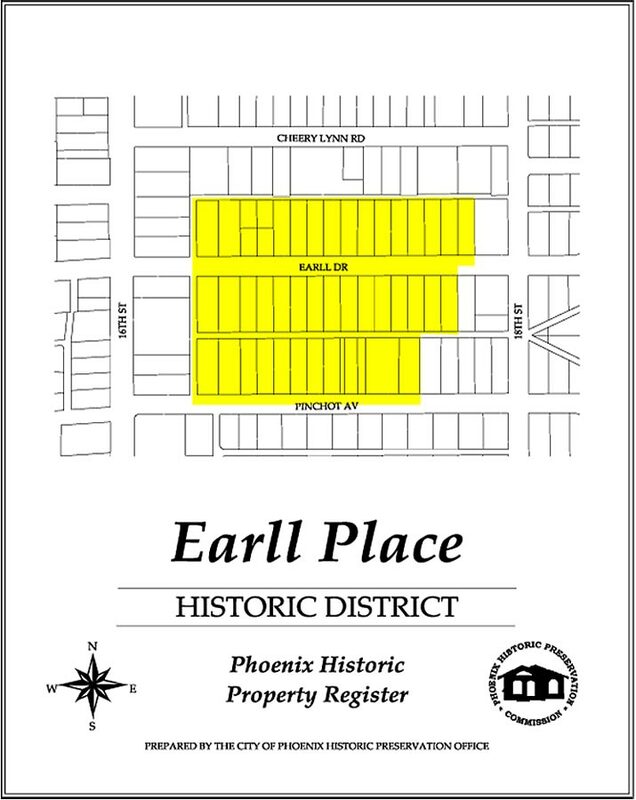 Earll Place Historic District? Where’s that? If you don’t already know, it’s time to take a drive. A few streets north of Thomas, between 16th and 18th streets, you’ll find a charming surprise on Earll Drive and Pinchot Avenue: a small historic pocket of English Tudors, Spanish Colonials, Pueblos, and Bungalows from the 20s and 30s. At first glance you’ll notice green, irrigated lawns and mature trees. Then the multi-paned windows of the houses will catch your eye. When you step inside one of the cottages in Earll Place, you’ll probably find the original hardwood floors, high coved ceilings, custom built ins—drawers and shelves—that provide a surprising amount of storage space, and maybe a fireplace—lovely details that have surely charmed residents through the decades. Some of these cottages have their original footprint of around 1000 square feet. Others appear compact from the street but have been expanded with a master bedroom and bath that almost double their original size. They are all built on deep lots and usually have a garage and a questhouse (or maybe even two) and still have a generous amount of backyard space. When Earll Place was developed in 1927 it was the fringe of the city. 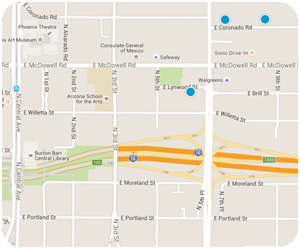 These days, Earll Place has easy access to anywhere in the Valley from the I-10, 51 and 202 freeways. It is a small pocket of history that has been surrounded by newer development as Phoenix filled in and grew up in the 50s and 60s. If you haven’t already discovered Earll Place Historic District on your own, it really is worth searching it out.